Photo from BBC's Monty Don. Sustainability is never a simple thing to summarize in a brief description, but in 1987, the United Nations defined it as when "design, construction, operations and maintenance practices [...] meet the needs of the present without compromising the ability of future generations to meet their own needs." Sustainability has become an increasingly important issue in recent years, not just in the larger sense that the UN is working tirelessly to achieve for the betterment of people living in poverty, but also in our day-to-day lives. Whether it's recycling, riding a bike to work, or even reducing the amount of meat we eat, we're all trying to do our bit for the environment. But what about our gardening practices? On the face of it, working on our gardens seems like a pretty environmentally-friendly activity, but whether we have the classic back garden, an urban community garden, or even a new-age roof garden, there are things that all green-thumbed people can do to ensure that their gardens are environmentally-friendly and continue to be sustainable—producing flowers, vegetables, and shrubbery for years to come—as well as working in harmony with the local environment. Here are some practical ways to make your garden more sustainable and environmentally-friendly. Photo of a a man working with One Tree Planted. Planting trees is one way to not only improve your garden aesthetically, but it also makes it more healthy. Trees actually store the carbon from the atmosphere that your soil needs to become more fertile and fruitful. Of course, not everyone's garden can necessarily afford to give up space for trees, so why not volunteer with a local organization planting trees in communal areas, such as parks and community gardens? The use of chemical fertilizers and pesticides can have far-reaching consequences, according to a study by PETA. To ensure our gardens and the habitats in them stay healthy, it is a good idea to try to avoid using synthetic fertilizers, and as much as possible, avoid using pesticides. Do you really want all those chemicals going from your vegetable patch to your plate? There are many other sustainable ways to help your garden thrive and grow—the most obvious of which is using compost. Filled with all the natural nutrients your garden needs, it's an eco-friendly way to keep your plant beds growing strong, and the beauty of it is you can make it yourself. As we mentioned earlier, recycling is an important part of sustainability, and this includes our food and garden waste. By making your own compost, you're ensuring that all that leftover food and lawn clippings aren't simply ending up in a landfill somewhere. 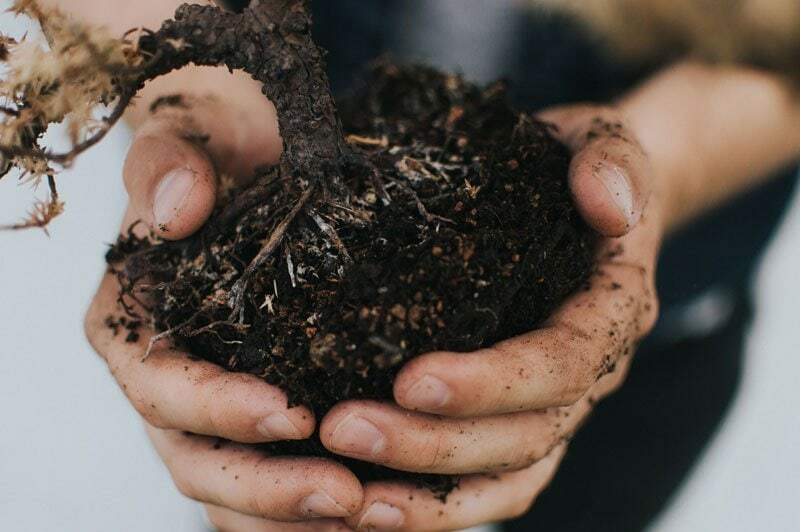 When making your own compost, you want to keep a balance between the brown and green plant matter, and you might be surprised as to what you can put in your mix. To keep that good bacteria busy and active, the green matter is helped by grass clippings and kitchen waste. You can use your fruit peels, vegetables that are past their prime, and even coffee grounds. The brown plant matter is helped by shredded newspaper, wood chips, and dry leaves, so you can keep hold of yesterday's sports pages, and don't just bag up those leaves on the driveway when you've finished sweeping them up. Think of it as food for the garden! Every area has weeds that are native to it, and it's important to find out what may be growing in your area and during which season. Sometimes the worst garden weeds look like they're nothing more than wildflowers minding their own business, so it's important to know the difference. It's pretty tempting when you see evidence of weeds in your garden to get the herbicide out, but before you do that, there are natural ways to get rid of them. Tricks such as using salt, vinegar, boiling water, or simply removing them from the root can often be enough to a put a stop to them. When planning out your garden, try to get as many different species of plants as possible. Creating biodiversity is a good way to ensure that your prize flowers bloom for as long as possible, and keep coming back year after year. A wide range of plants also encourages local wildlife to visit your garden. Small birds and insects are an important part of a garden's life cycle, especially when it comes to pollination. Encouraging these habitats to spring up helps to keep your garden in ecological harmony with your surrounding environment. As the old adage says, kids are the future. By getting your kids to help you in the garden and learning eco-friendly and sustainable gardening practices, it'll become second nature to them. No matter if it's at home, school, or in the local community, by teaching kids the right way to garden early on, you can make sure that they will continue to follow these practices as they grow older and start their own gardens. Want to take sustainability to the next level? Expand your eco-friendly way of life to the day-to-day with some our favorite wellness tips!